An unexpected visitor knocked at our door last Saturday and made my 6-year-old son grin from ear to ear. 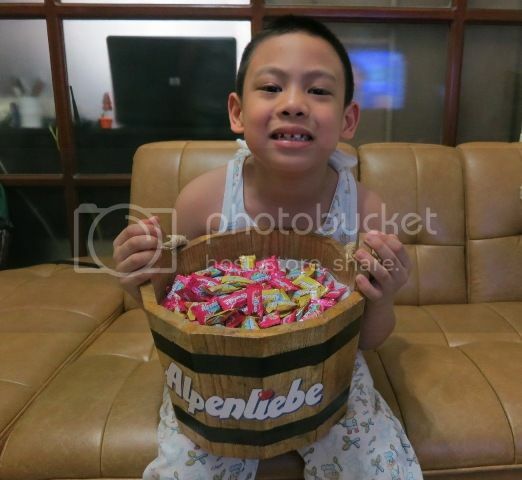 That’s because the lady who paid us a surprised visit gave my son a wooden bucket with Alpenliebe candies. Sweets for my sweet! Like most kids, my son loves candies, so I wasn’t surprised anymore that he was so happy to receive quite a handful of candies on that particular morning. Alpenliebe Candy comes in two flavors: Caramel and Strawberry. The Caramel candy is enriched with milk, while the Strawberry candy has real cream. They are both sweet, creamy and delicious! 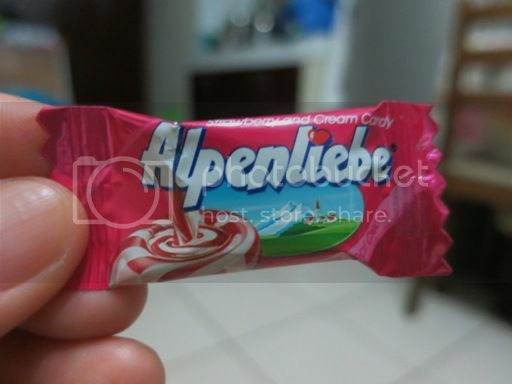 Hubby even brought some Alpenliebe candies to work yesterday to share with his officemates. The little boy likes the Caramel Alpenliebe, while hubby prefers the Strawberry Alpenliebe. 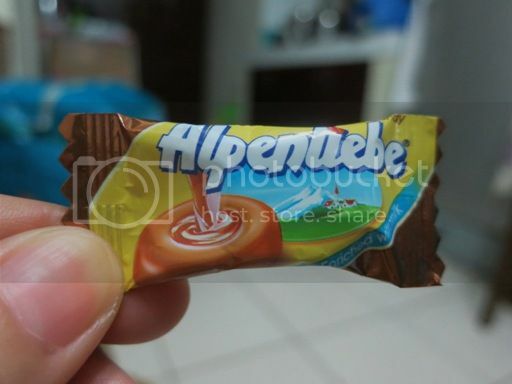 Alpenliebe is manufactured by Perfetti Van Melle, the same company that makes Mentos, Chupa Chups, Fruittella and Smint. 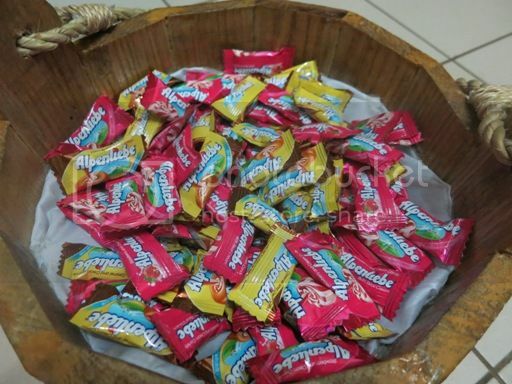 Alpenliebe comes in a bag of 50 candies which is perfect for sharing with family and friends. This entry was posted in Alpenliebe, Candy. Bookmark the permalink. Ang daming candies! Look like Treat or Treat came early for the little boy, huh? Your son looks so happy with his candy treat. I hope someone will knock our door too and bring a surprise as well. The candy looks delicious but I think I want that wooden bucket more than the candies! LOL!